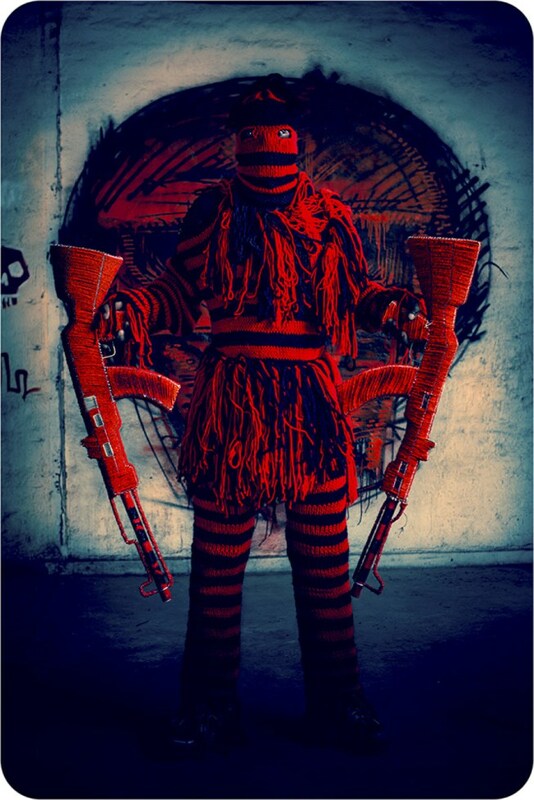 For his first solo series Ghosts, South African filmmaker and artist Ralph Ziman photographed Zimbabwean street vendors wielding handmade replicas of AK-47s which are adorned in traditional Shona-style beading. The multimedia project aims to highlight the international arms trade and its devastating influence. 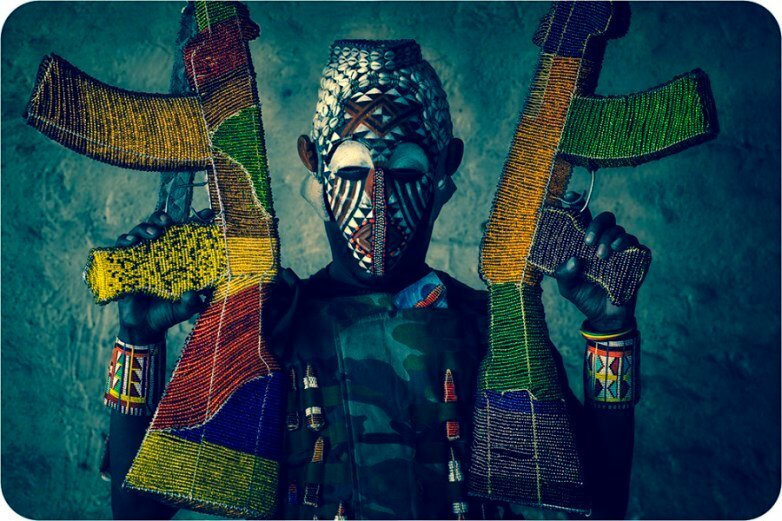 I had six Zimbabwean artists use traditional African beads and wire to manufacture several hundred replica bead/guns like AK-47s, as well as several replica bead/general purpose machine guns (GPMGs), along with the ammunition. In response to the guns sent into that culture, the mural represents an aesthetic, anti-lethal cultural response, a visual export out of Africa. 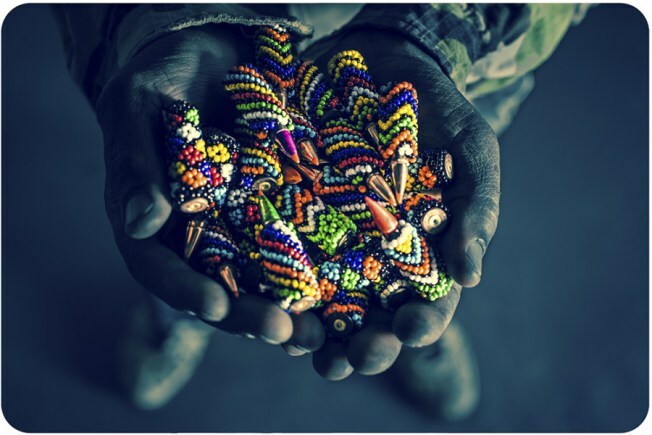 And the bead/guns themselves, manufactured in Africa, are currently being shipped to the USA and Europe.This bead/arms project provided six months full-time work for half a dozen craftsman who got well deserved break from making wire animals for tourists. 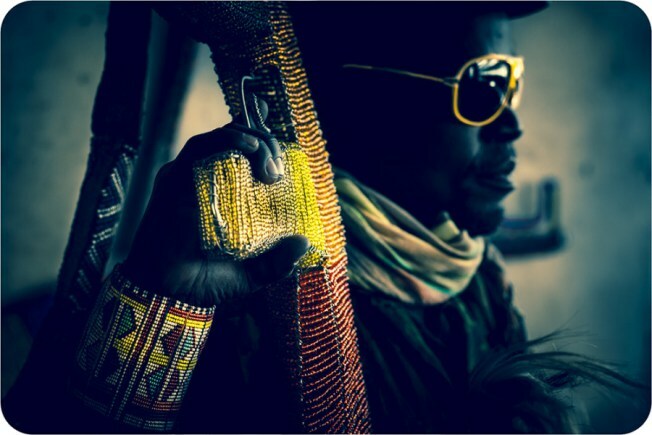 The completed bead/guns were the subject of a photo-shoot in crime ridden downtown Johannesburg. The subjects were the artists who made the guns, several construction workers who happened to witness the shoot, and a member of the South African Police Services who just wanted his picture taken. The mural is mixed media, wheat paste, dye, acrylic spray-paint and ink on wood. This mural is the first in a series to be put up in LA. In 2008, Ziman wrote and directed Jerusalema. The film was submitted to the Academy Awards as a nominee for Best Foreign Language Film. He has also produced murals in Venice Beach, California where he lives with his family. Ghosts will be on display at C.A.V.E Gallery in Los Angeles from February 8 to March 2. 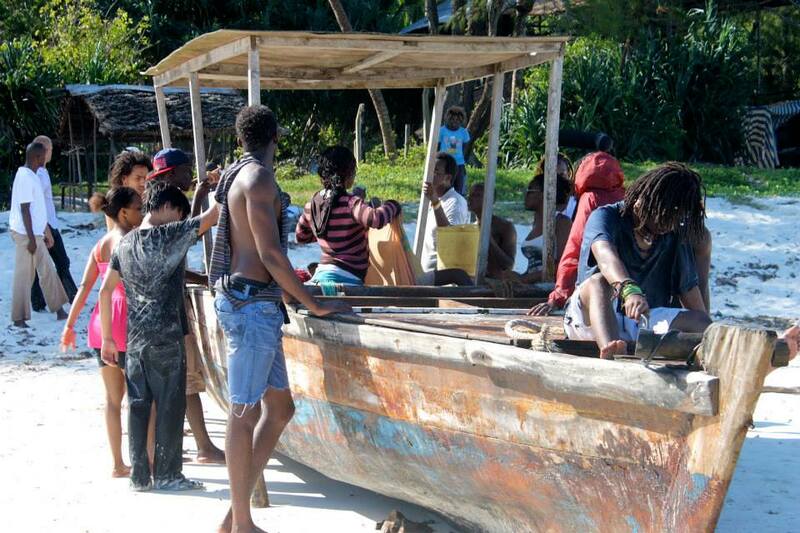 This documentary feature film is about Lamu, a remote Kenyan island frozen in time. It has just one car and more than 3000 donkeys. Electricity is provided by generators and there is no modern water sewage system. Marginalised economically by mainland Kenya, Lamu relies on tourism. However, big change is coming: Africa’s largest port is being constructed there. At a cost of 3.5-billion USD, the port will be capable of handling ships of up to 100 000 tonnes – almost half the size of the island. How will this massive project impact on the locals and the environment? The Donkey that Carried the Cloud on its Back documents and observes life on Lamu before the “marriage of people and land”, following the story of Fatima as she prepares to get married. 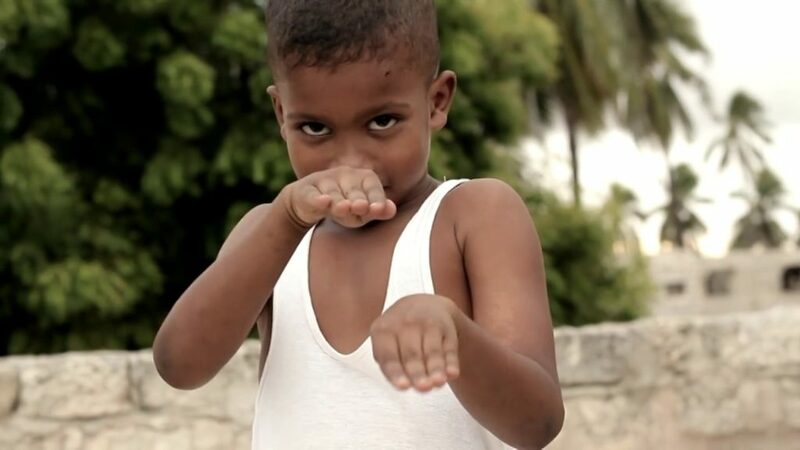 The Donkey that Carried the Cloud on its Back – A Teaser from Philippa Ndisi-Herrmann on Vimeo. Produced by Philippa Ndisi Hermann and Atieno Odenyo, it received financial support from the IDFA Bertha Fund and a crowdfunding campaign. It will be screened at international film festivals later this year. At its core, Usoni is a story of immigration. The Kenyan sci-fi television series is set in 2062 and paints a portrait of what the world would be like if immigration was reversed and European refugees were fleeing to Africa. Created by Dr Marc Rigaudis of the United States International University (USIU) in Nairobi, the film casts Africa as an oasis, the only place where the sun shines. It follows a young couple who embark on a dangerous journey to reach the continent but before their dream can be realised, they must overcome the worst of humanity and beat impossible odds. The pilot episode was screened at USIU last week. Now we wait to see if it’ll be picked up by local or even international channels. The Last Fishing Boat, a film by Shemu Joyah, is about the clashing of cultures when a white tourist makes sexual overtures to a Malawian woman who is the third wife of an illiterate but proud fisherman. Shot on the shores of Lake Malawi in Mangochi last year, the film recently won yet another prize – this time at the Silicon Valley African Film Festival in California . It picked up the award for the Best Narrative Feature Film. Earlier this year The Last Fishing Boat bagged the Best Soundtrack award at the Africa Movie Academy Awards, where it received five nominations. Nigerian author Chimamanda Ngozi Adichie‘s award-winning novel Half of a Yellow Sun has been adapted into a screenplay by playwright Biyi Bandele. 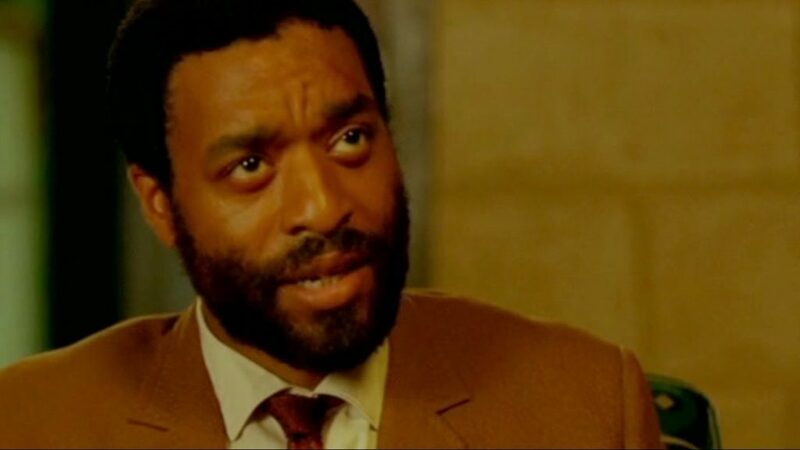 This is his feature film directorial debut, with a cast that includes Thandie Newton, John Boyega, Chiwetel Ejiofor, Dominic Cooper, Anika Noni Rose, Joseph Mawle and Genevieve Nnaji. Adichie’s book masterfully weaves together the lives of people caught up in the the violence of the Biafran War. She is also the author of Purple Hibiscus, The Thing Around Your Neck and the recently published Americanah. The official release date of Half of a Yellow Sun is yet to be announced.